Wish you were here winners - Gravetye Manor! Congratulations are in order for Gravetye Manor in East Grinstead who are our ‘Wish you were here’ winners! 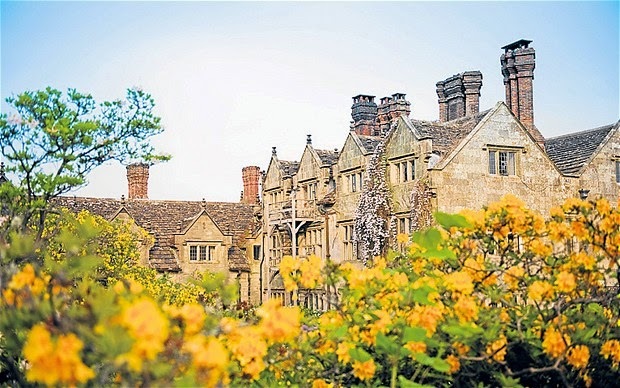 With 17 bedrooms and suites (all named after tree species found on the estate) Gravetye Manor was built in 1598 by Richard Infield and is a real gem. There is a tranquil feel to Gravetye Manor and the hotel oozes peace, luxury and relaxation. Famous for its beautiful gardens, Gravetye Manor also offers a fantastic selection of food and drink, from traditional afternoon tea to a leisurely lunch in the gardens. The Hotel have a one acre walled kitchen garden, which during the summer months provides 95% of all fruit and vegetables that are used in the kitchen. The hotel offers free wifi throughout and there are plenty of things to do in the area including, Blossom & Jasmine Beauty Treatments in the privacy of your own room, Walking, Croquet, Deer stalking and Fishing. If you are looking for an elegant and enchanting property, Gravetye Manor is the perfect choice. Congratulations once again Gravetye Manor! Nominate your hotel here for a chance to be the next star property!